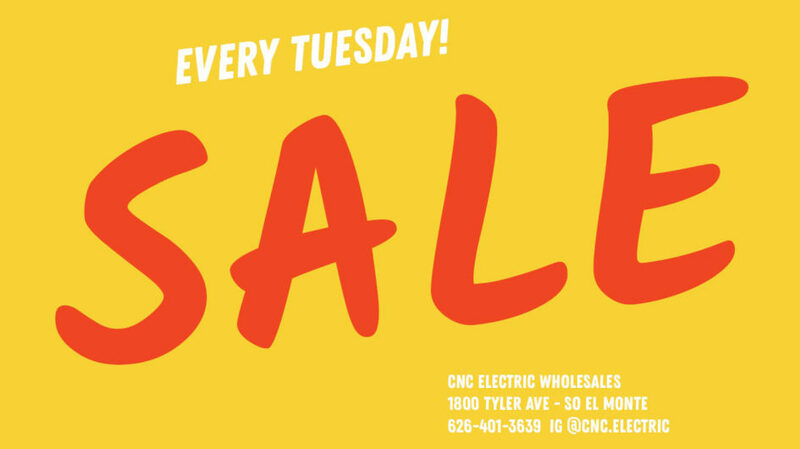 Starting August 7, 2018, CNC Electric Wholesales will have weekly specials on electrical materials every Tuesday. Check out our flyer posted online at our website and social media, or sign up for text message updates to get our specials sent directly to your phone. Deals are good while supplies last. Sign up quick!